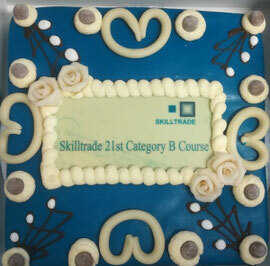 The 23rd Class was coming to an end. We were honored with a visit from Commander Mahmud from the Nigerian Maritime Administration and Safety Agency. Togerther with the students, who have worked hard over the last 12 weeks, Nova College and various teachers we were pleased to celebrate this class and their efforts. 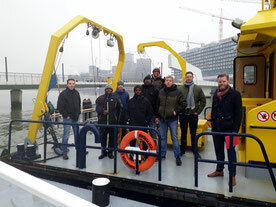 21 January 2019 the 23rd Cat B course started in Ijmuiden. 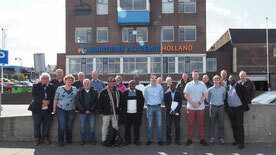 A group of 8 dedicated students from Iceland, Nigeria and The Netherlands. 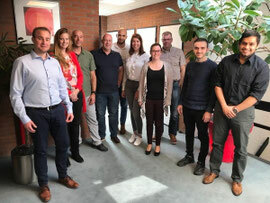 The next 24th Skilltrade Hydrographic Survey Category B Course will start 2 September 2019 in Ijmuiden, the e-learning training for this course should be started on or before 15 June 2019. If you have any questions about this course or wish to register, please do not hesitate to contact us. We look forward to hearing from you. 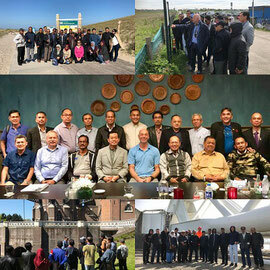 Skilltrade was represented at the 1st International Water Environment Ecological Construction Development Conference “Harmony with Nature”. This 2 day conference -co-hosted by the Chinese Dredging Association (CHIDA)- was held in Wuhan, China on 18 and 19 October. 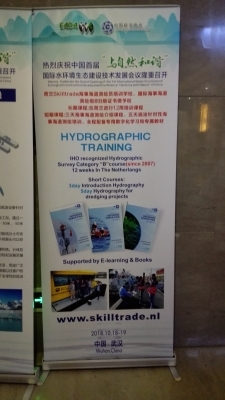 The next 22nd Skilltrade Hydrographic Survey Category B Course will start 10 September 2018 in Ijmuiden, the e-learning training for this course should be started on or before 9 June 2018. 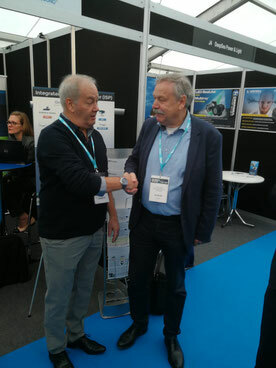 We received a great international interest which needs to be confirmed in the next coming weeks. If you have any questions about this course or wish to register, please do not hesitate to contact us. We look forward to hearing from you. 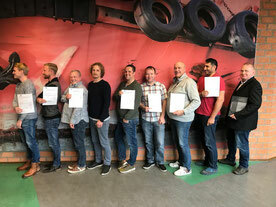 The 8 students of the 21st class all received their certificate of theoretical completion on 30 March 2018. 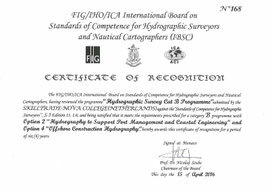 Another accomplishment was made by Axel de Meijer, student of the 16th class: He earned his FIG/IHO/ICA Certificate of Field Proficiency after logging 365 operational days. Congratulations all! After lunch we concluded the ceremony with a visit to exposition SHIP about the construction of the new sealock in IJmuiden.